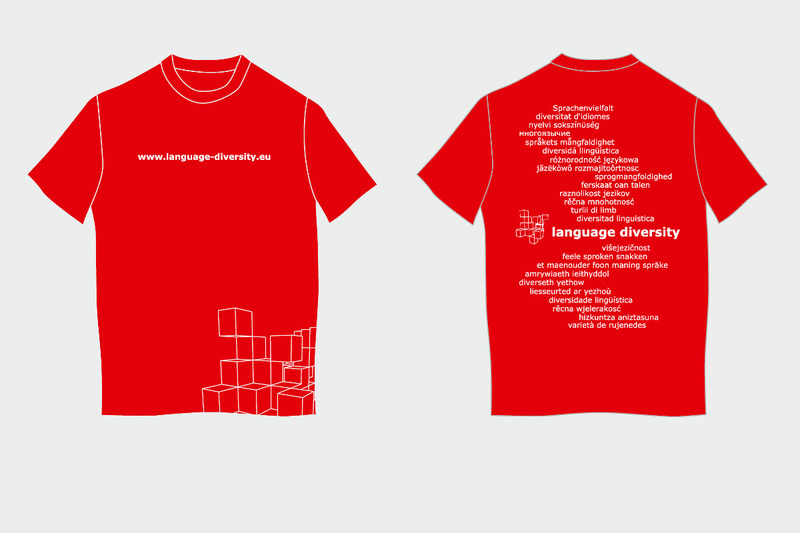 Our T-shirt enables us to be easily recogniseable as lan­guage diversity team at events and activities. 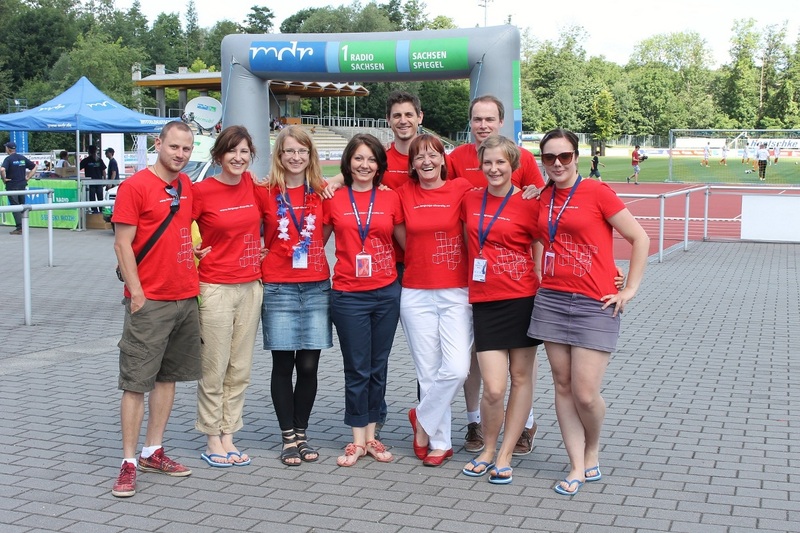 The red T-shirt is a real eye-catcher. With these shirts people not only recognise us immediately, but they also convey our message open and visible for all!